Toro Primer Bulbs: Jack's is your Place! We have the Primer Bulbs you need, with fast shipping and great prices! For carburetor parts and accessories, think Jack's! 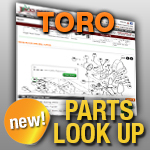 TORO : CCR-POWERLITE, CCR-1000, CCR-2000, CCR-2450, CCR-3000 AND MANY OTHER MODELS.